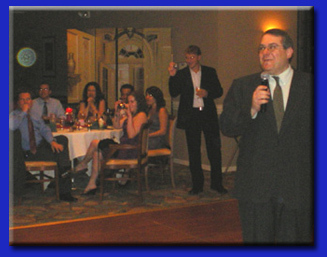 THEY improv is a leader in training and bonding for multi-national companies and provides improv comedy, game shows and murder mystery dinners for entertainment options for a variety of groups and gatherings for their Panama corporate meetings and incentives event, private parties, team building workshops and banquets. 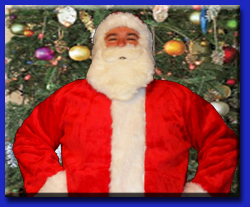 If you are looking for events in the city in Florida, please go to our Panama City Florida page. If you have a group looking for quality Panama corporate event, banquet and private party entertainment, look no further than THEY improv in the Caribbean to get you what you need to entertain and advance the cause of your company! 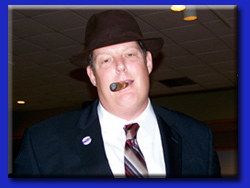 Whether you'd enjoy an improv comedy, interactive game show or murder mystery dinner, THEY improv can provide you with Panama private parties, corporate events or murder mystery dinners that will help you succeed beyond your expectations! 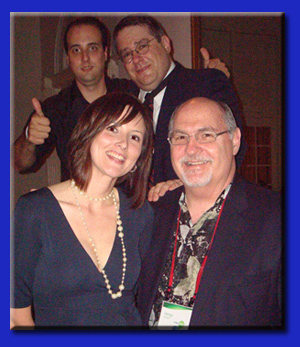 THEY improv leads the way for Caribbean murder mystery dinner shows for Panama private parties, banquets and corporate events. With a cast of detectives, mysterious suspects and plots customized to each group at a venue of your choosing for luncheons or dinner shows, THEY improv will have your group trying to discover whodunit while laughing the night away. And for smaller groups, THEY improv has a game show where the participants play all the characters in a mix and mingle party designed to get people to talk to each other and have a great time in a no-pressure environment. Besides the great restaurants at the resorts and hotels, THEY improv can come directly onto your yacht or area banquet halls or even the beach. This can provide the most intimate of options for your amusement for company gatherings while taking advantage of the luxury that a Caribbean vacation can evoke. This opens whole new ideas and possibilities that you might not have even considered. Scavenger Hunts are also excellent programs to help your team enjoy the outdoors and to see the island as no other event. We would work with you in developing the activity and can include various tourist locations that would have to be visited as part of the hunt. Or, if you prefer to keep them on property, we work with the resort in developing something to help them enjoy and take advantage of the resort's amenities. Simply contact us to find out how we can make this happen for your group. With great resorts throughout the country, such as American Trade Hotel, Bambuda Lodge, The Bristol, DoubleTree, Dreams Delight Plaza Bonita, Eurostars, Grace, Gamboa Rainforest Resort, Hotel Riu Plaza, Hardrock Hotel, Hyatt Place Downtown, Hotel Plaza Blanca Beach Resort, Hilton, JW Marriott, Le Meridien, Punta Caracol Acqua Lodge, Radisson Summit, Radisson Decapolis, Riande Aeropuerto, Royal De Cameron, Ramada Plaza Punta Pacifica, Sheraton Bijao Beach Resort, Tropical Suites Hotel, TRYP, Trump International, Urraca (Private Island), Waldorf Astoria, Wyndham, The Westin Plaza Bonita, there's no shortage of great places to have a company retreat. We could not in good conscious mention the country without referencing the canal. Not only was it one of the greatest construction projects ever undertaken, but it was undertaken three times. The first attempt failed. The second was a magnificent success. The third expanded the canal to fit some of the largest ships that the world has ever known. This attracts tourists from around the world either to see the wonder of the world or to use it as a transit way to or from the Caribbean. As such a visible and memorable place, it is a great location to show the capacity for human achievement that can prove as a great motivator for success. We also provide hospitality training. Tourism is a major driver of commerce on the island. This means that there is a need for hospitality training and we have programs that can assist in dealing with American visitors in ways that only an American consulting company could understand. Contact us to see how we can help your venue better serve the needs of your guests. Panama private parties for families or corporate events are improved through all of these programs. 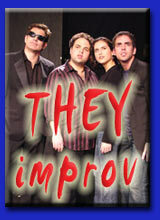 And for a province as interesting and diverse as the people are, THEY improv is ready to provide for all. After all, being improvisers, THEY can adjust to practically anything. THEY improv is proud to serve the entire country including Panama City, Isla Solarte, Gamboa, Farallon, Rio Hato, Isla Colon, Bocas Town, Isla Popa, Santa Clara as well anywhere else you can think of, though some of the more remote areas might result in added costs. THEY can help companies of every sort, from administrative to the government agencies to tourism related businesses such as hotels and resorts. THEY do so by consulting from our base and providing skilled facilitators in the Caribbean to meet your particular needs. Contact us by email at info@caribbeanimprov.com or by calling 866-219-4386 if in the US or +1-786-543-9472 if not.